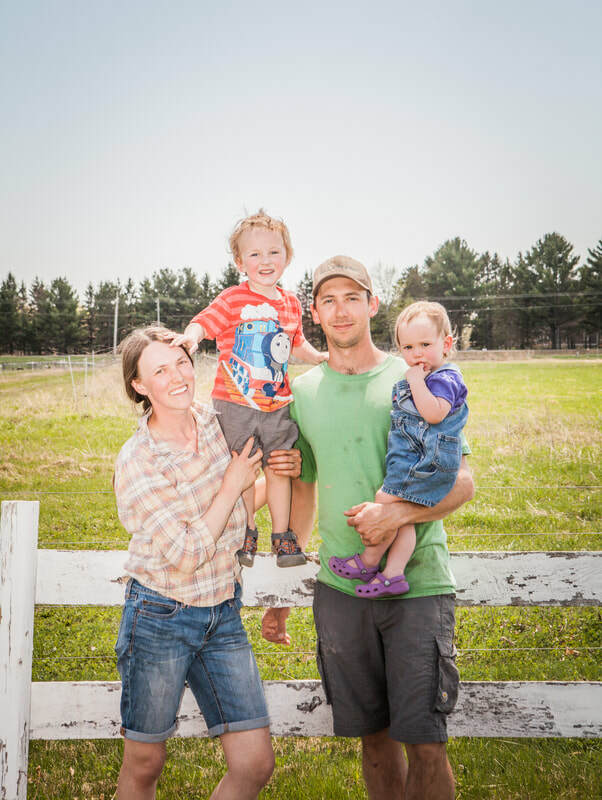 ​WHO WE ARE: We are a first-generation family farm run by husband and wife, Chris and Tamara Johnson. With a shared motivation for working outdoors and raising good food, we transitioned to farming in our later 20's after having started careers in environmental science. Our first year we tried everything - chickens, cattle, hogs, ducks, dairy cows, microgreens, preserves and partnering with a vegetable CSA. We learned a number of hard lessons that first year, but knew we absolutely wanted to continue farming! ​WHAT WE DO: At Johnson Family Pastures we are committed to producing nourishing food for the local community. This includes raising heritage breeds of livestock, utilizing perennial and natural feed sources, rotational grazing our animals on pasture, and producing antibiotic and hormone-free food. Our livestock are adapted to living outdoors where they can benefit from a diverse diet of pasture grasses and receive a humane quality of life. They are given year-round access to fresh air, water, shelter, and pasture or hay. We believe that what we eat matters. FAMILY ROOTS​: In 2016, we moved our family farm across the state of WI to Centuria, in the St. Croix River valley - 1 hour northeast of the Twin Cities. We are working with Tamara's family at Baker Orchard, a u-pick orchard with fresh apples, cider, art gallery, hiking trails, restored historic barn and more! We are continuing to raise heritage pork, pasture-raised chicken, and 100% grass-fed beef. In 2019, we added a flock of grassfed sheep to our growing operation. We welcome you to become a part of our community farm family.